Its September and Mexico is suffering from what feels like a heat wave, a wonderful surprise as I was told to expect tropical storms. The main strip in Cancun is filled with hotels, clubs, bars, restaurants and more hotels. Arriving at the Grand Oasis Cancun was all I dreamt. The hotel was sophisticated, large and luxurious. The hotel consists of one main five star building in the centre of the complex, surrounded by tropical gardens and a quarter of a mile in length pool with two pool bars for those who wish for a true, lazy and relaxing holiday. On each corner edge of the complex are blocks of apartments which are four star buildings with restaurants, a tennis court, a spa, a night club and a gym scattered around them. Not content with a beautiful pool? Walk straight out of the main complex towards the pool and you’ll see the sea. Just in front of the hotel is the beach which is long and stunning, complimented by the tropical clear blue sea. Five star rooms are very spacious with a mini bar and four star rooms are just as good, a bit smaller but all double rooms come with two king size beds. Rooms are cleaned each day and are of a high quality. The great thing about this hotel is that even if you’re staying in one of the four star buildings you have the same access to all facilities that five star rooms pay for too. The main reception and five star building have two bars and a restaurant called Careyes which is for five star guests only. Careyes is a lovely restaurant and well recommended, try the steak, its tender and mouth watering which was complimented by the champagne you are allowed as part of the all inclusive band. Four star accommodations allow access to most other restaurants and bars which are equally as delicious, Dos Lunos serve lovely fish and Italian dishes and Tunkul International host a buffet with all types of food to try. The hotel is centred on the strip and has easy access to the night life and restaurants in the centre of Cancun. The buses are regular and run through the night but a taxi is better for those who want a quick entrance into town. The town is lively and I recommend Coco Bongo as not only is it a night club, there are shows put on throughout the night but you have to see this for yourself. On top of this there is a wide selection of excursions available, the water park is a good choice to swim with dolphins. Read reviews about the Grand Oasis at Trip Advisor. My family and I visited the beautiful Cotton Bay resort in St Lucia during May 2007. The complex is set in three phases, the first two are completed but the third is still underway which means the back of the complex was still under construction. This did not ruin any views and there was no noise because the development is set far away from the other apartments. All building work is projected to be finished by this year. The apartments are 5* and extremely luxurious with marble floors and brand new furniture. The apartment we stayed in was about 20 steps from the swimming pool, one minute from the beach and in an all round spectacular location. The style of accommodation was a Tamarind; two bedrooms, two bathrooms, kitchen with full appliances, lounge area, toilet, balcony and front porch/lounging area. The master bedroom was large with a four-poster bed, flat-screen TV, wardrobe and en-suite with shower, toilet etc. The second bedroom consisted of twin beds, two wardrobes, flat-screen TV. The bedroom was again a reasonable size and the beds were large for singles. The second bathroom also consisted of a shower, sink, toilet etc. both bathrooms were decorated in marble tiles. The kitchen consisted of new units and doors, granite worktops, American style fridge/freezer, dishwasher, washing machine, oven and hob, microwave, basically everything you would normally have in your home kitchen. The lounge had enough seating for four people, a coffee table, huge TV cabinet and TV. More info at St Lucia Apartments. I am back from St. Lucia and after spending £60 on mosquito related products I am sorry to say I still came back with over 50 bites :(. 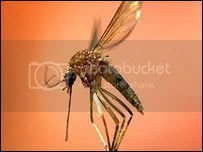 I think in the majority of other countries the experiment would have been a little more successful but the mosquitos in St. Lucia are fearless man eaters! My poor sister was attacked more than anyone out of the group and she scratched them so hard they became infected and it was straight to doctor when we returned. The self standing bed net was the most expensive product and although it worked when we tested it at home, the bed was too big in the holiday apartment so we didn’t end up using it. To be honest I think even if we did use it we still would have been bitten because it was during the early evening (dinner time) that they seemed to be out hunting the most. I think I would have gone crazy without the £5.95 after bite clicker, I know it was probably psychological but I swear it took away the itching (only for a short period of time though). The repellent sprays and wipes did nothing but again if the mosquito’s weren’t quite so vicious I think they could have been better. Overall the after bite clicker was the most successful product for me in St Lucia but I’m still itching a little bit now! Wear light coloured, light material trousers when going out for dinner and in the evenings. Avoid using highly scented products such as perfume and aftershave. Avoid areas with small puddles of water – they love still water. If you see mosquitoes in your bedroom do your best to splat them before you go to sleep. Keep your bedroom door and apartment door closed during the day if possible. You are currently browsing the archives for the Caribbean category.